Last night baristas from around the area gathered at the new reAnimator cafe on Master Street in Kensington, many in costume, to party and see who could make the best latte. The “Thursday Night Throwdown”, which originated in Atlanta, is an event to bring together and create coffee community, both locally and globally in a fun, friendly way. 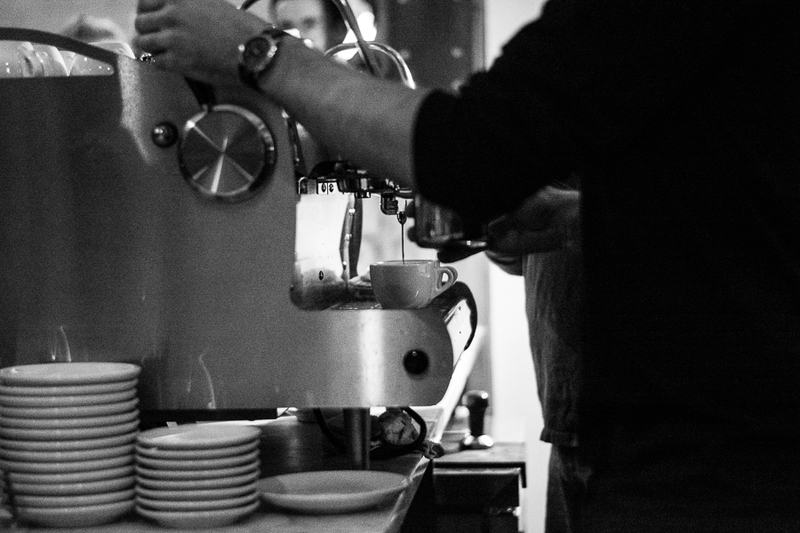 Around 40 baristas competed for a little bit of cash and pride. Each latte was judged by a panel, which included the owner of Green St Coffee Roasters as well as La Colombe senior baristas. After many rounds and gallons of milk, Ben Cordova, owner of Loma Cafe in Wilmington DE, took home the title for best latte. Cordova beat out a barista from reAnimator. Check out The Spirit‘s Storify to see how the night and competition developed from start to finish. Here’s the full photo gallery for the event . Editors note: Joshua Albert is also a photographer and reporter for The Spirit.